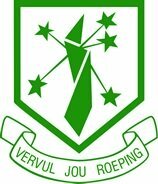 Hoerskool Eldoraigne is one of the high schools in Centurion. It is also one of the public high schools in Eldoraigne and surrounding areas. Please check our full directory for public and private schools in Pretoria below. Hoerskool Eldoraigne can be found in the Eldoraigne suburb of Centurion and can be accessed from several highways from Pretoria and Johannesburg. The school has a population of about 1662 pupils. It has enough facilities and great academic education that engages in extracurricular activities. Students in Hotel Management and Catering are lucky enough to have a completely equipped restaurant called, La Doraigne. This is truly a great honor for students because they could gain practical experience at the highest possible level. Eldoraigne has fully equipped laboratories, computer centers and tekenlokale. The school has continued to obtain outstanding matric results, and this reflects the healthy approach of the school. The school is a leading cultural activities and performing very well in many areas. The school gives high priority to the academic area too. The above average performances in various areas of academics is an indicator that the school cares about the future of the kids and that the academic area of education is a important. They obtained excellent matric results in year 2011 with 598 distinctions, 100% passing rate and several candidates who have excelled. The community and teachers trained students to become smart, well mannered, punctual, faithful, polite and honest. The vision of the school is to offer excellence and future oriented education. The governing body of the school is legally bound to have a code of conduct and the students, parents and teachers in the school help protect this conduct. The code conforms with the Constitution of the Republic of South Africa or Act of 108 of 1996. They implement rules and matters of organization in good order and to encourage goodwill spirit in the school. They believe that self-discipline is a good sign of a well educated person and their students contribute to this.